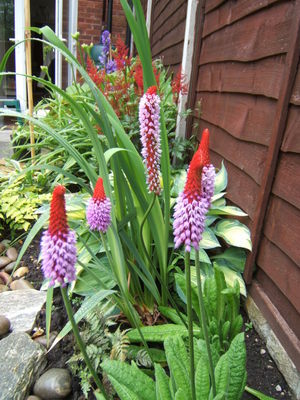 I have an unusual plant - it's leaves look like a primula but the flower is like a weird Kniphofia - any clues? You are right Blodyn, i was looking at them in a garden mag the other day. I've got this on my stream bank! That's the plant that went for a swim in the floods! Don't call it weird - It's bee-you-ti-ful!!! !